We left at 1pm and reached 3pm at Mirpur Sakro. 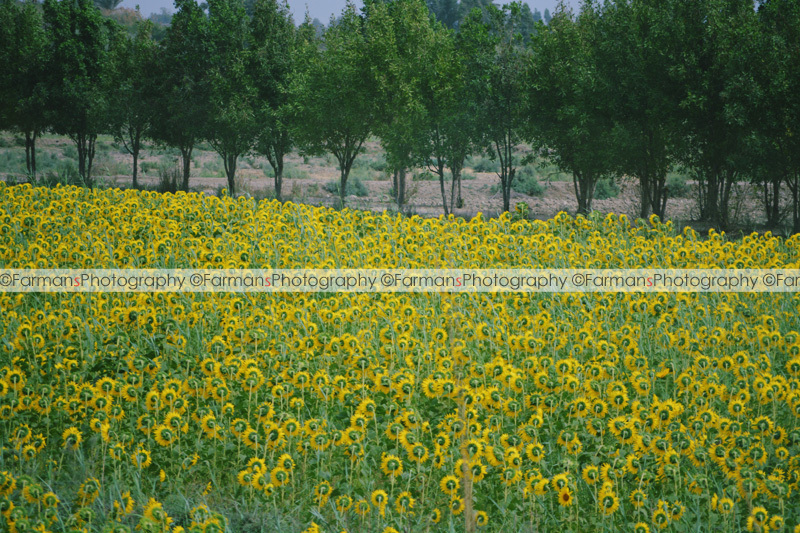 On our way I’ve seen these beautiful sunflower fields. These trips provide us an opportunity to get close the nature and escape to our hectic schedule. The weather took a dramatic turn while we were on our way and it was all cloudy and windy by the time we reached Mirpur Sakro. After we reached our final destination we put down our bags and introduced ourselves to each other then they distribute certificates followed by a group photo. After that we had lunch then we went on a short trip to the fields to find some birds but they were all flown away. We were back at the venue before the sunset. It was all cloudy and we thought we can’t see anything tonight. So we were praying for the clear skies. 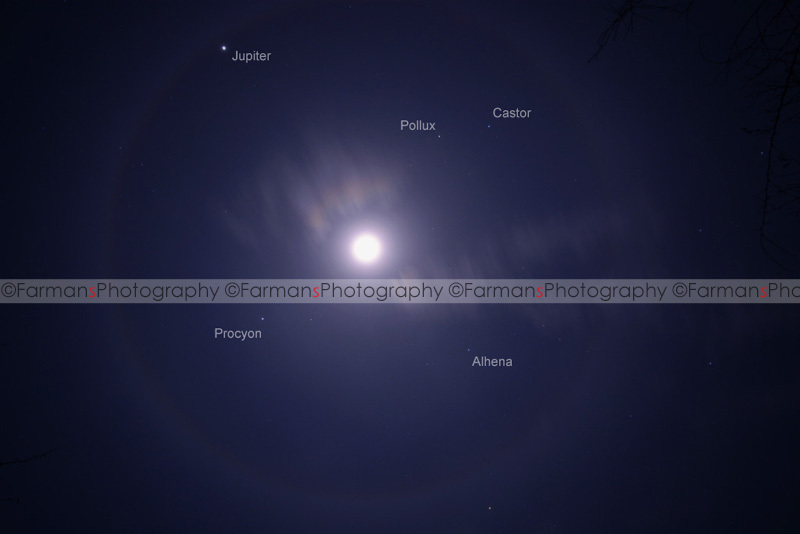 After 8pm clouds were scattered and the Moon appeared and we witnessed this breathtaking very rare Moon Halo. That was an optical phenomenon where a circle with a radius of approximately 22° formed around the Sun or the Moon. We have seen the Planet Jupiter and the star Procyon of Canis Minor and Pollux and the Castor the heads of the twins in the Gemini constellation and the star Alhena left foot of the twin Pollux in the Gemini constellation. Now there was some clouds in the west rest of the sky was clear. 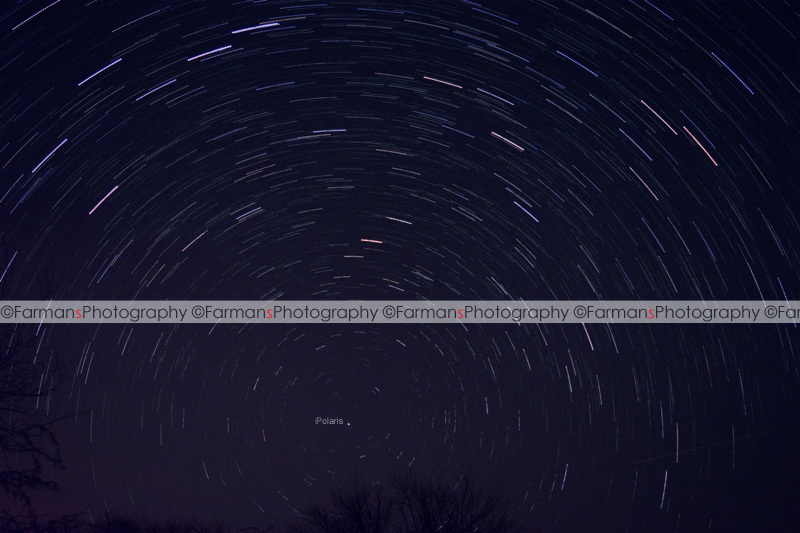 After that I tried to spot the Polaris to make the star trail. In the dark skies its bit hard to spot the star you are looking for. So I found the Polaris – the star that never changed its position it. In ancient times people used this star to find their location when they were lost in the sea or in the desert. 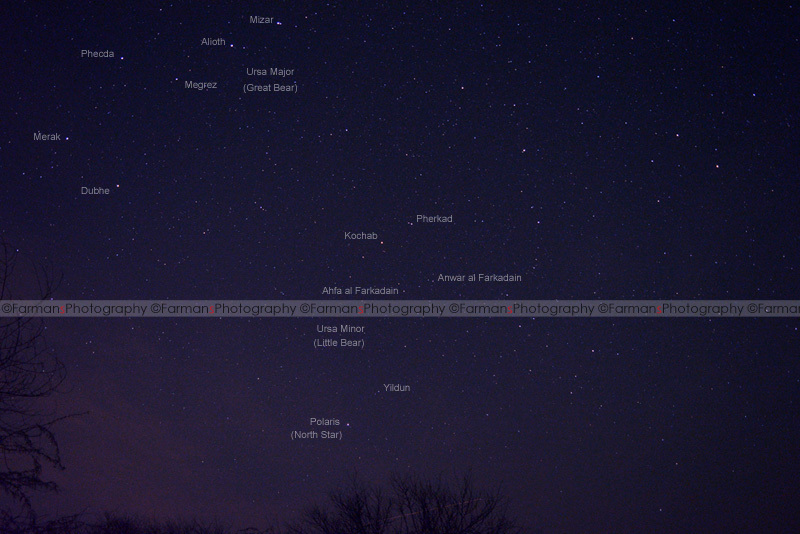 So there was the Polaris with Ursa Minor and Ursa Major (Big Dipper) on the left corner. After that I spin those stars…. As you can see that the Polaris doesn’t change its position. There was a public stargazing session going on the other end with the 6 inch & 8 inch Skywatcher telescopes where I’ve seen Saturn rings, Omega Centauri or NGC 5139 which is a globular cluster in the constellation of Centaurus and other star clusters. After 3am the Milky Way Galaxy was starting to appear in the South near the Scorpius constellation so I moved my camera towards it and start capturing its beauty. Alhamdulillah! I’ve seen this breathtaking view of Milky Way Galaxy. 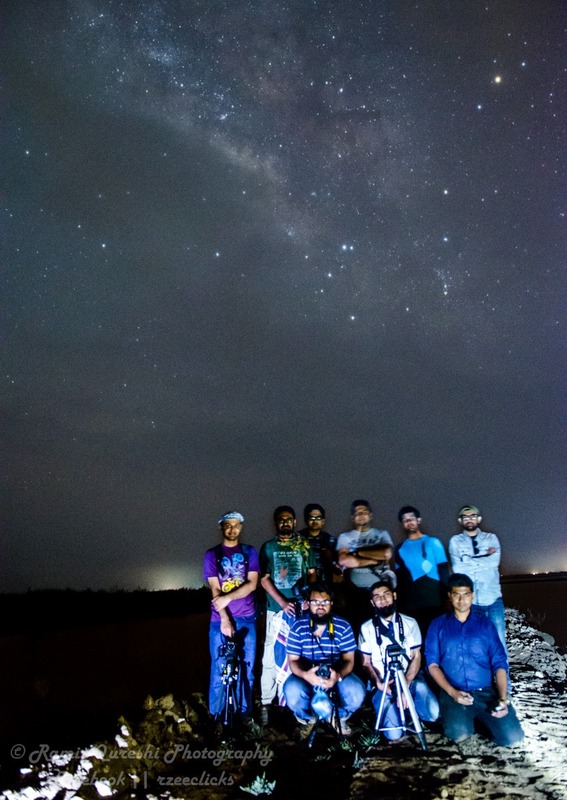 Later we went to another trip to the fields to find some good location to photograph the Milky Way but it was bit cloudy again but we managed to get our group photo thanks to Ramiz Qureshi. 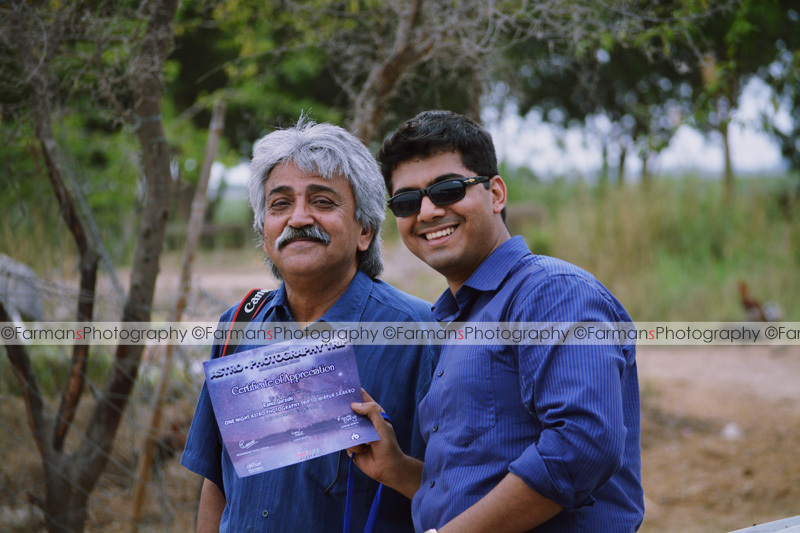 I really had a great time on this stargazing trip with KaAS. 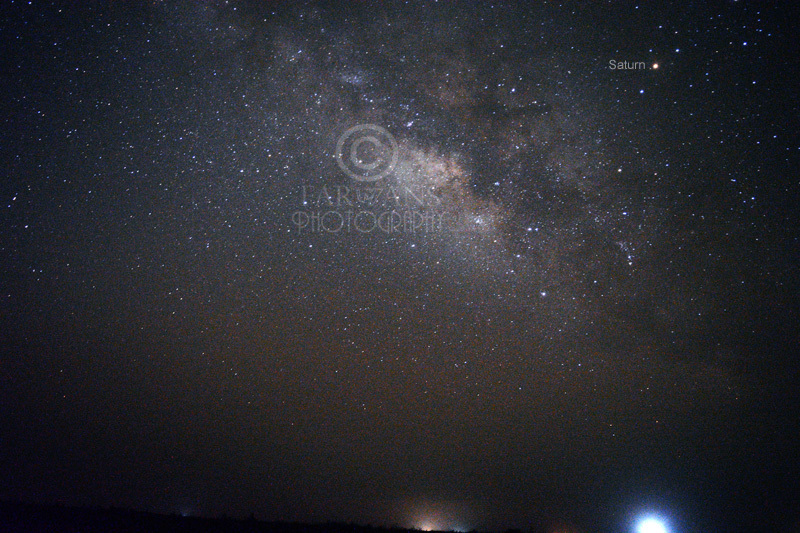 Finally I’ve seen the Milky Way Galaxy. It was so good to meet people with mutual interest as we have more than 70 people on this trip including a SIUT surgeon. 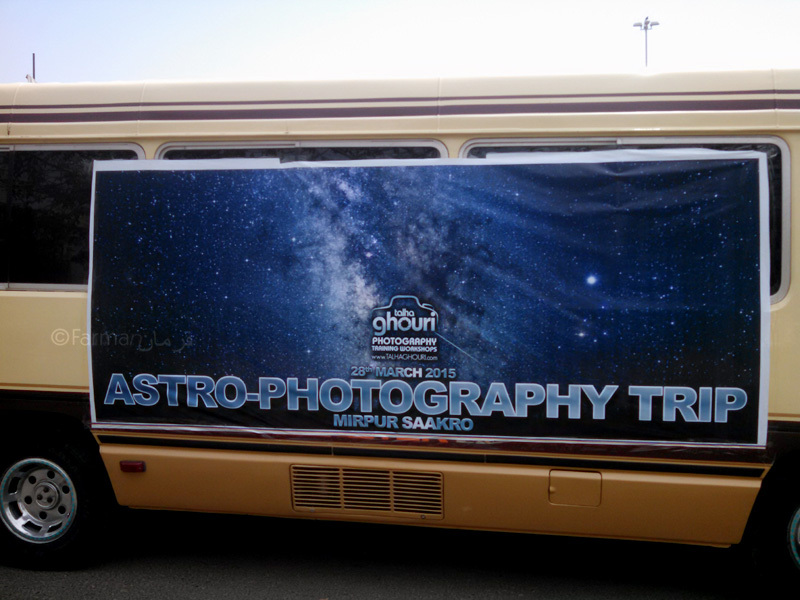 All were so amazed after seeing the stars in the dark skies and KaAs members helped them to understand the deep sky objects such as star clusters, nebulae and the galaxies. 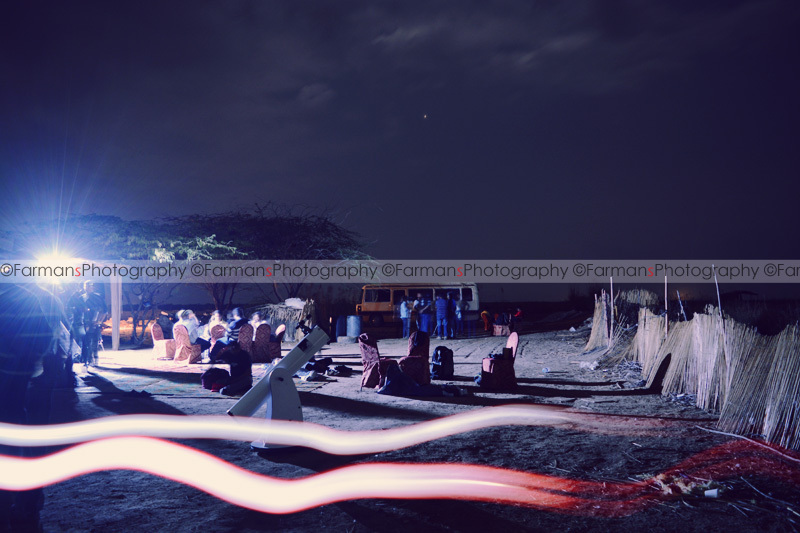 Looking forward to more stargazing trips with KaAS. 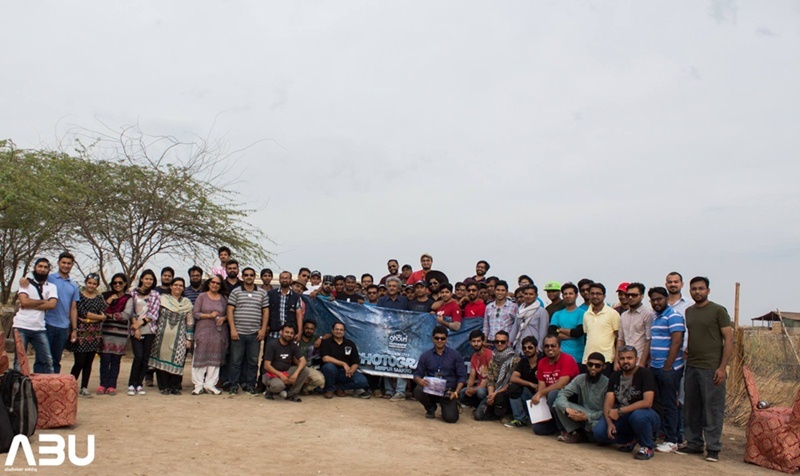 Karachi Astronomers’ Society (KaAS) usually conduct public stargazing and sun viewing sessions in the city to educate people about astronomy, cosmology and astrophotography using everything from ordinary binoculars to high end astronomical equipment.